Compatible with any brand 802.11g or 802.11n router using 2.4ghz wavelength and supports mimo (multiple input multiple output) high speed transfer TX data rate up to 150 mbps. awus036nha is an ieee 802.11b/g/n wireless USB adapter. It provides users to launch ieee 802.11b/g/n wireless network at 150 mbps in the 2.4 Ghz band, which is also compatible with ieee 802.11b/g wireless devices at 54 mbps. Awus036nha is compatible to higher-performance, multi-stream, mimo-based 802.11n and are available in reference designs to serve the networking, PC and consumer electronics markets. Awus036nha includes a convenient utility that scans for available networks on windows XP and saves preferred networks that users are usually connected with. Security encryption can also be configured by this utility. Compatibility: - any PC or laptop with a USB port, 733 MHz CPU and 64 MB memory - any brand 802.11g or 802.11n router using 2.4 Ghz wavelength - Windows 2000, 2003, XP home/pro/64-bit, vista 32-bit/64-bit, Windows 7 - not compatible with Xbox 360, ps3, Blu-Ray players, Roku boxes or any device that does not run an operating system. Also will not work with dual band routers that only broadcast n speeds on 5 Ghz wavelength - it is also not compatible with any Apple Mac . Security : This adapter provides state of the art standards-based security features: Wpa/wpa2, ieee802.1x, 64/128-bit wep. With these enhanced security features, you can encrypt your data and only allow authorized users to access your wireless network. 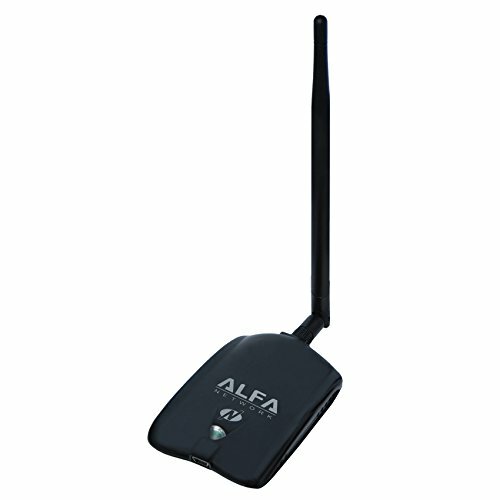 Data rate 802.11b: Up to 11 mbps/802.11g: Up to 54 mbps/802.11n: Up to 150 mbps - antenna type 2.4 Ghz rp-sma connector - chipset atherosar9271 - security wep 64/128, 802.1x support, Wi-Fi protected access (wpa), wpa-psk, wpa ii-psk, cisco ccx support, wapi-psk, wapi-cert.